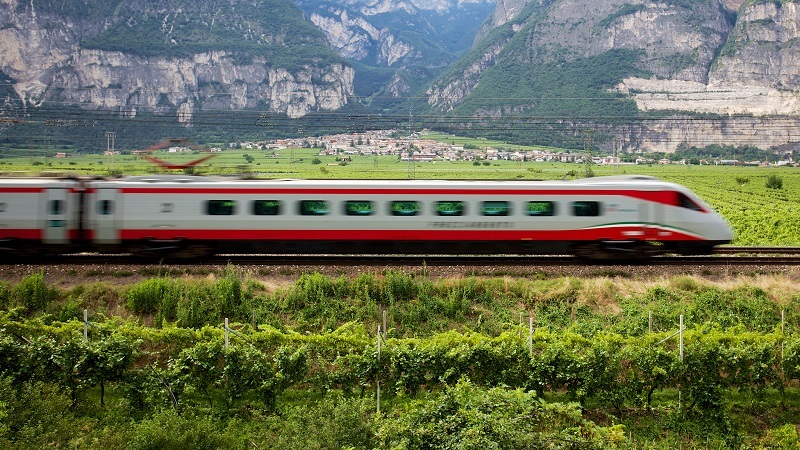 The Frecciargento trains connects Rome to Venice, Verona, Bari/Lecce, Lamezia Terme / Reggio Calabria on both high speed lines and traditional lines. Frecciargento trains reach speeds up to 155 mph. Rome – Venice – Rome: 26 daily connections in a 3 and 1/2 hours aboard the ES AV Fast and ES AV trains. Rome – Verona – Rome: 6 daily connections. Of which 2 Frecciargento trains will continue up to Brescia, allowing passengers to benefit from the recent doubling of the Bologna – Verona line, and takes only 3 hours between Verona and Rome. For your comfort, trains are air conditioned, equipped with a sound system, LCD touch screen videos, and power sockets are at seats. To book tickets, use the search box on the left or click one of the routes above.